Ugandan President Yoweri Museveni rides in his ceremonial vehicle during celebrations to mark Uganda's 50th independence anniversary in Kampala, Uganda, Oct. 9, 2012. Courtesy Photo. 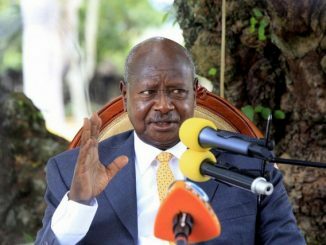 Ugandan government has warned whoever is planning to hold parallel Independence Day Celebrations to stop, saying the strongest arm of the law will catch up with them. The Presidency Minister, Esther Mbayo, says government has received information that some people are planning to hold parallel Independence Day celebrations and boycott the National event. 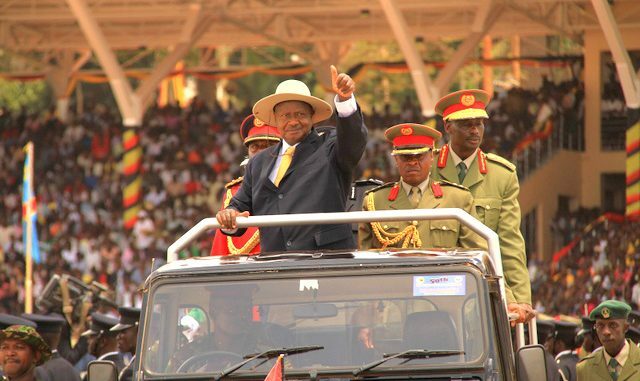 She called upon all Ugandans to turn for the national Independence Day celebrations in Bushenyi district. Emphasizing the importance of the Independence Day celebrations, Mbayo said there is need to remember all the people who contributed to the building of our country especially political leaders, civil servants and ordinary citizens. 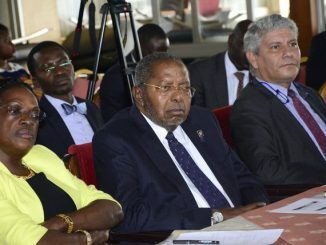 Mbayo appealed to all citizens of Uganda to reflect on the nature of commitment of each and every individual can offer in transforming Uganda to a Middle Income status by 2020. “The list of these young elites that mounted pressure on the colonial masters that led to the eventual granting of independence is endless and forever we shall be indebted to each and every one in equal measure for their sacrifices,” said Mbayo. She also disclosed that His Highness Agha Khan, the Chairman for Agha Khan Development Network and Michelle Sidibe the Secretary General for United Nations were receive medals for their distinguished contribution to Uganda.